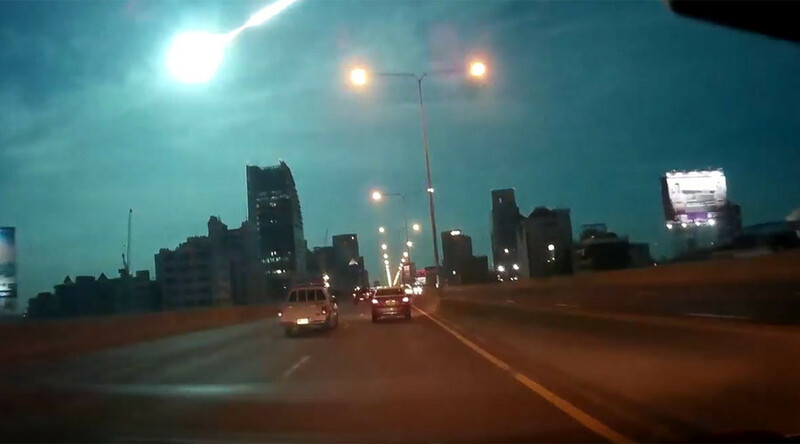 A bright fireball lit up the night sky above Bangkok on Monday, as an objected suspected to be a meteor burnt up in the atmosphere over Thailand. The flash could be seen in several parts of the country, including the capital, Thai media report. Dashcam videos published soon after the fireball hit the sky show the dark night turn into day for a few seconds. According to the National Astronomical Research Institute of Thailand, it is suspected that the fireball was a small meteor that burnt up in the atmosphere at a high altitude. The newest spectacle comes after a meteor streaked across the skies of Bangkok on September 9, causing a huge fireball.